36 guests, 4 key experts and 1 moderator – a mix of corporates, entrepreneurs, edupreneurs, policy-makers, lecturers, students etc. 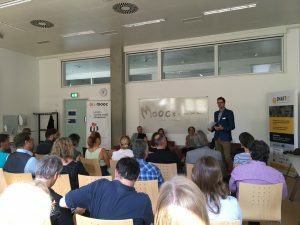 – had a lively discussion on 13th of September in Graz, Austria regarding “MOOCs – muss das sein” (“MOOCs – is this really a must”?). 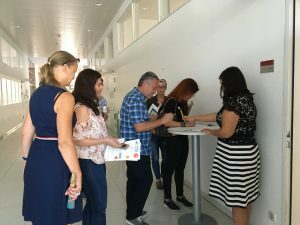 The Austrian BizMOOC round table introduced the participants to the core results of the project and followed-up with a discussion how the main project outcomes (especially the MOOC BOOK) and MOOCs in general could be uptaken on a broader scale for the benefit of all. We want to thank all the experts and guest for the valuable inputs and so positive feedback!! !